Lots Of Mystic Writing! You can call me Pey! 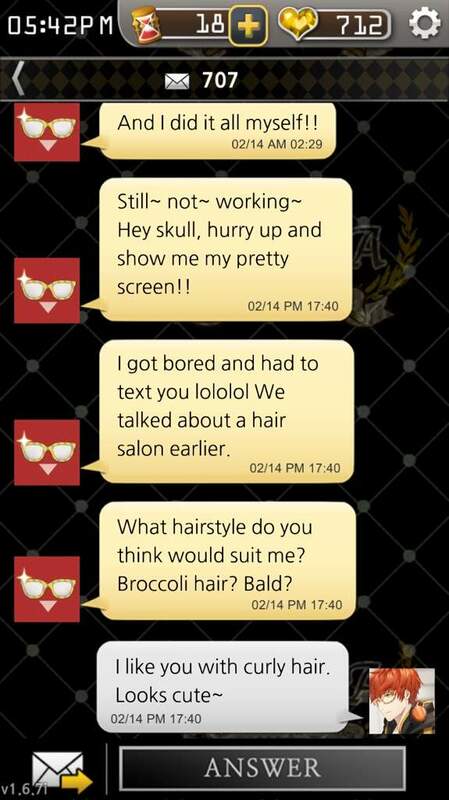 I'm obsessed with Mystic Messenger so let's laugh, cry, and generally get emotional together about these characters! As usual, I’ll only show progresses from Day 6 to Day 10. ^^ DISCLAIMER: I do not own the game, the music, or anything in Mystic Messenger (it’s owned by Cheritz!) except the hourglasses that I’ve bought with my money, my handphone that has installed the game and my own gameplay. A Mystic Messenger gift exchange event for Valentine's Day! Sign Ups are officially closed! Sign Ups are officially closed! Two weeks left to sign up for the Mystic Messenger Valentine’s Gift Exchange!